Ah, Christmas. The time of year it is always ok to complain about, always hip to find tedious, and always fine to loudly proclaim about its commercialism. After all, the only people who look forward to Christmas are four-year-olds, right? Well, if that’s how you feel, fine. I used to be exactly the same, sneering at the efforts of people who decorate their houses, sighing my way through family gatherings, and wishing the whole season would just eff off and leave me in peace. The first radio play of Wizzard and I’d be snorting with derision. If I don’t feel that way now, it’s not because I had some great epiphany through being shown the error of my ways by clanking ghosts or icky elves. Instead, over the years, I have come to appreciate the very basic psychological importance of a mid-winter celebration, a recognition of another year passed, and the chance to change your surroundings to boost your spirits during the shorter days. I am a Christian, so have always found the religious elements of Christmas very satisfying. However, I now positively look forward to the chance to celebrate, to take a rest from work and catch up with friends and family. The music of Christmas was particularly important at times and places when life was more tenuous. I find the traditional Christmas music from the Middle Ages, and from other parts of Europe, especially evocative. These were songs written to cheer and strengthen people when food was scarce, when a snowfall could cut you off entirely from the rest of humanity, and when people needed to feel close to their God. If you are finding yourself frazzled by Christmas preparations, or dreading family arguments, or simply not ‘in the mood’ for a celebration, you might find something in the albums I recommend here to help. Nothing against Elton John, Slade or Michael Buble, but there is TONS of great Christmas music out there which is not played to death. 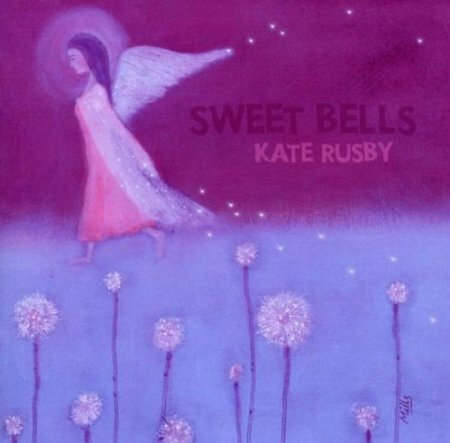 I’m not the hugest fan of Kate Rusby, but her two Christmas albums, Sweet Bells and While Mortals Sleep, are absolutely lovely sets of traditional English (well, Yorkshire, really) songs. A single song, ‘A Miner’s Dream of Home’ is full of more real emotion than most Christmas albums can muster up in total. I am a big fan of Loreena McKennit, and if you haven’t come across this amazing artist, her Christmas records are a great place to start. A Midwinter Night’s Dream contains some old carols, some traditional arrangements, and a couple of things which will completely knock your socks off. Loreena’s arrangement of ‘God Rest Ye Merry Gentlemen‘ turns this jolly hymn into an Arabian celebration, full of pounding drums and ululating pipes. It is honestly fabulous. Loreena’a other amazing Christmas album is To Drive the Cold Winter Away, a stunning undertaking. She traveled round Europe, recording traditional Christmas songs with minimal accompaniment in empty churches and historical spaces. As a result, the echoes lend her voice even more purity and grace. It is marvellous to listen to by the light of candles, a roaring fire, or just Christmas tree lights. Harry Christophers and the Sixteen have released a couple of albums of carols, in volume 1 and volume 2. The arrangements are wonderful, sometimes light and sensitive, sometimes muscular and rousing. If you tire of twee carols about ickle babees inna manger, try ‘Masters in this Hall‘, it will blow your socks off. If you like completely plain music, Anonymous 4 have some wonderful choral albums such as On Yoolis Night, Wolcum Yule, and Christmas Music from Medieval Hungary. If all this is a bit severe and ‘old school’ for you, get yourself warmed up by something more modern, but still something special. You simply cannot go wrong with Christmas with the Rat Pack, with Dean Martin singing ‘Baby, It’s Cold Outside’. Ella Wishes You a Swinging Christmas, which is lovely of her, but also the perfect soundtrack to a festive evening. What about a modern chanteuse like Diana Krall singing Christmas Songs? Grown-up, proper music. Christmas with the Puppini Sisters is full of their trademark harmonies and naughtiness.